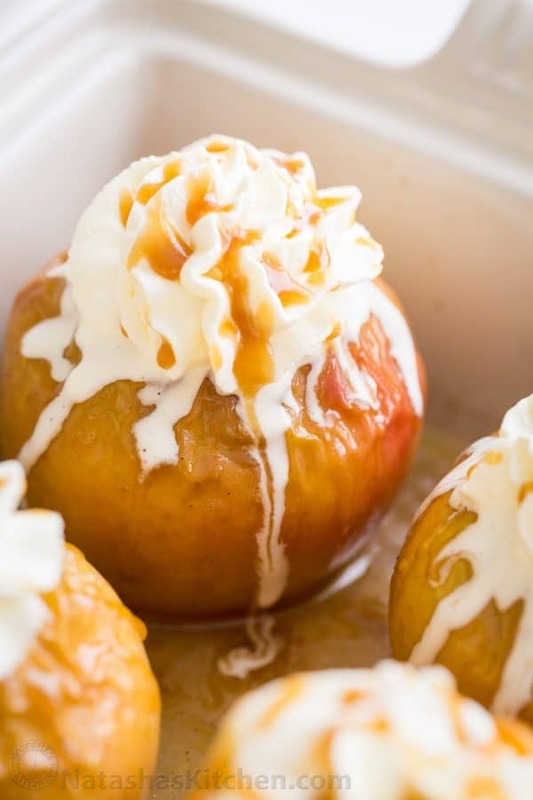 Baked Apples are infused with cinnamon and butter from the inside out, topped with whipped cream and drizzled with caramel sauce. 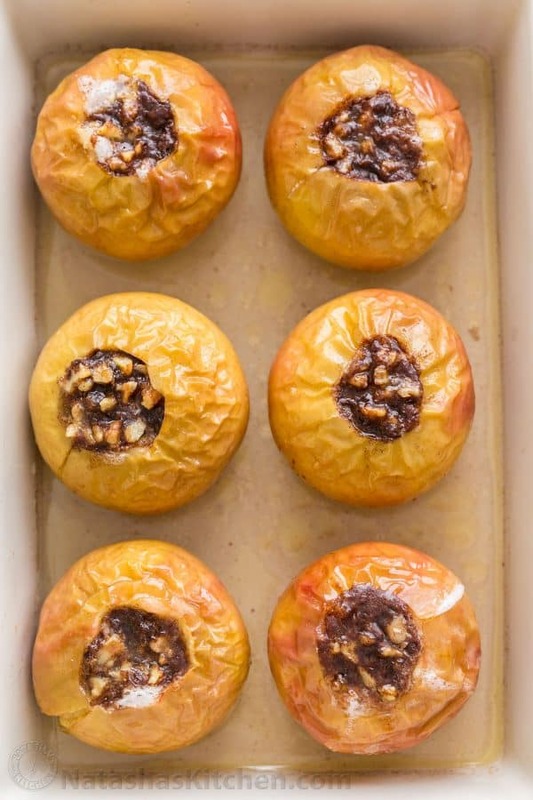 You will love how amazing your house smells as baked apples sizzle in the oven. 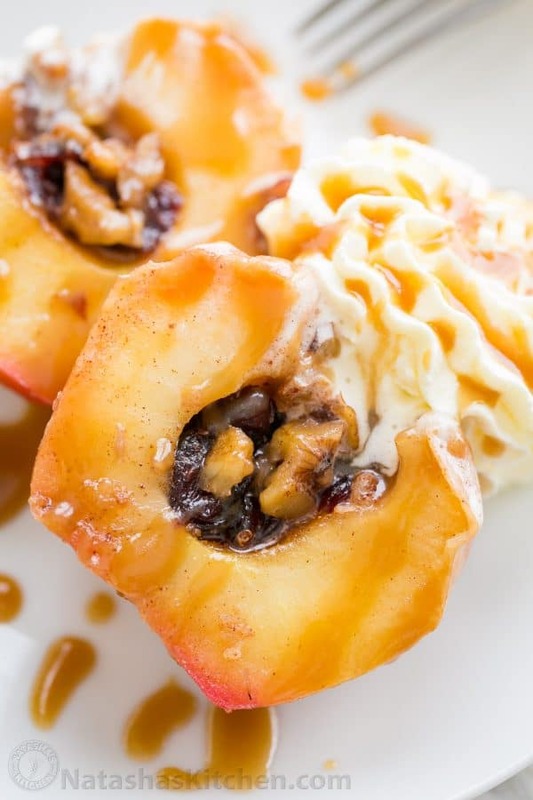 Have you tried baked apples? They taste like the filling for apple pie (you know; the part of the pie we all wish there was more of!). Wait until you see inside -YOU’LL JUST KNOW!!! You will need 6 medium baking apples. The best apples for baking should be firm, crisp and tart. Great apple options for this recipe include: Rome Beauty, McIntosh, Jonagold (pictured above), Fuji, Granny Smith, Golden Delicious and even Braeburn works fine. 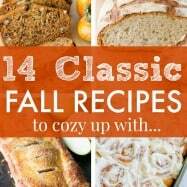 We top these with unsweetened whipped cream or vanilla ice cream and drizzle generously with homemade Caramel Sauce (click for easy recipe). 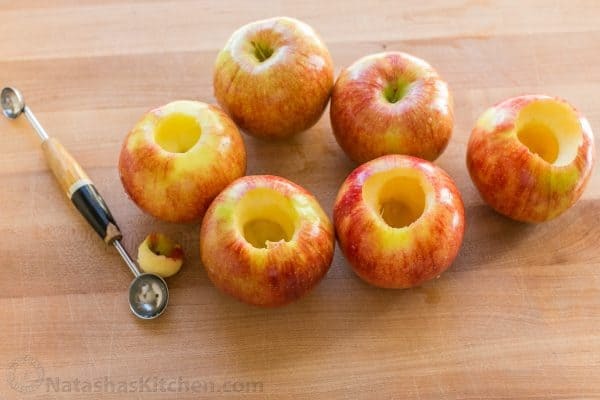 To core an apple, cut out the center using a melon baller or small paring knife, leaving the base intact to keep the filling in – don’t cut all the way through or the filling will leak out! 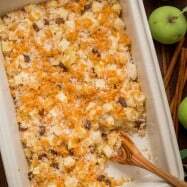 Place the apples into a casserole dish that is large enough to hold the apples without crowding them. We used this 9×12 Casserole. 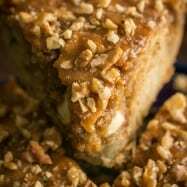 How Long to Bake Apples in the Oven? Bake for 45 minutes to 1 hour or until apples are soft (but not mushy). Baking time can vary by the type and size of apples you are using. My Jonagold apples (pictured here) were perfect after 45 minutes but I’ve had larger Braeburn apples take 1 hour. They are a treat served plain but are over the top delicious topped with unsweetened whipped cream, or vanilla ice cream and a drizzle of caramel sauce. 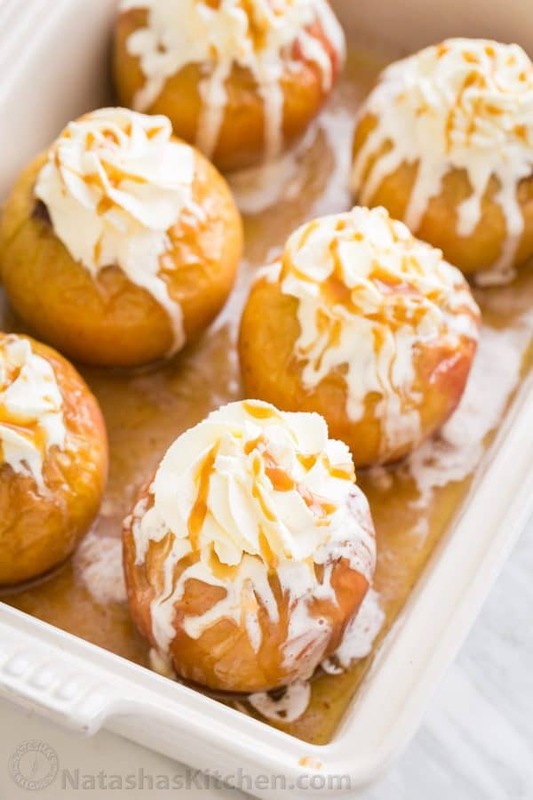 I top with whipped cream while they are still just slightly warm and some of it melts onto the apples and WOWEE they are irresistibly delicious!! Winter Fruit Salad – almost too pretty to eat! 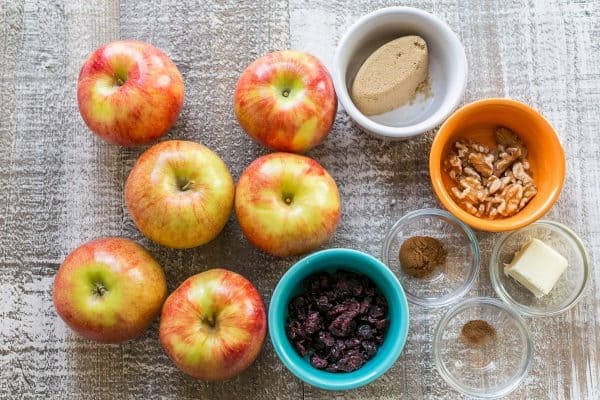 You will flip over how amazing your house smells from these baked apples! The apples are infused with cinnamon and butter from the inside out and taste like the filling for apple pie. Serve as is or topped with whipped cream, or vanilla ice cream and caramel sauce. Preheat oven to 375˚F. 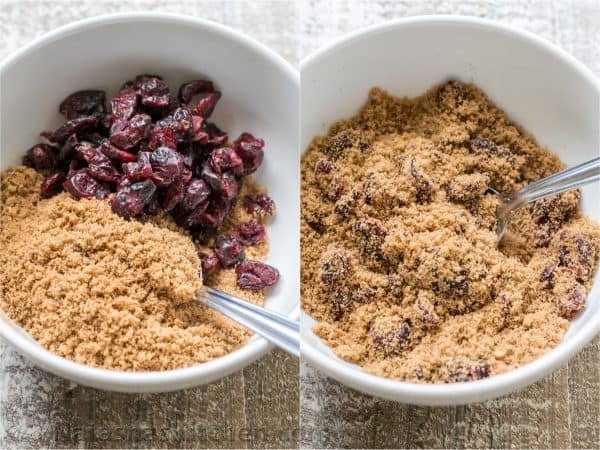 In a small bowl, combine 1/2 cup brown sugar, 1 tsp cinnamon and 1/8 tsp nutmeg and stir with a fork. Stir in 1/3 cup dried cranberries and set aside. Wash and core the apples using a melon baller, or small paring knife, leaving base intact to keep the filling in - don't cut all the way through! Place apples in casserole dish just big enough to hold apples without touching. 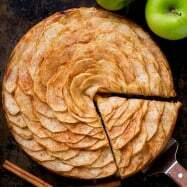 Divide the filling evenly between apples. Top each stuffed apple with 1/2 Tbsp butter, top with walnuts if using and sprinkle with any remaining cinnamon mixture. Pour 1 cup hot water into the casserole dish and bake at 375˚F for 45 minutes to 1 hour or until apples are soft (but not mushy). Baking time can vary by the type and size of apples you are using. My Jonagold apples (pictured here) were perfect after 45 minutes but I've had larger Braeburn apples take 1 hour. *Apples should be firm, crisp and tart. 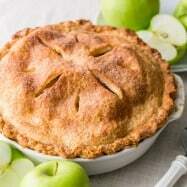 Great apple options for this recipe include: Rome Beauty, McIntosh, Jonagold, Fuji, Granny Smith, Golden Delicious or even Braeburn. 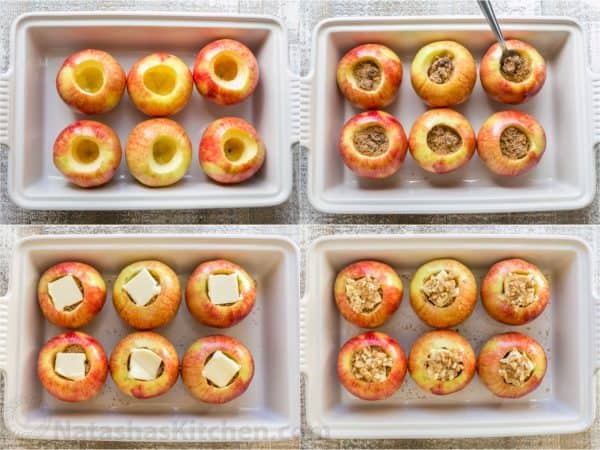 Leftover Stuffed Apples? No problem! They are just as good if not better the following day. If refrigerated, heat for 30-45 seconds in the microwave until warm and enjoy with breakfast in the morning. My baby girl and I enjoyed a sliced baked apple over oatmeal this morning – absolutely amazing!! HI Natasha. I was planning to make these apples tomorrow and have a question. 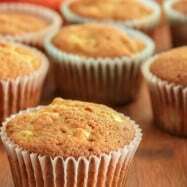 If I don’t have a nutmeg, can I substitute it? And instead of whipping cream can I use vanilla ice cream on top?